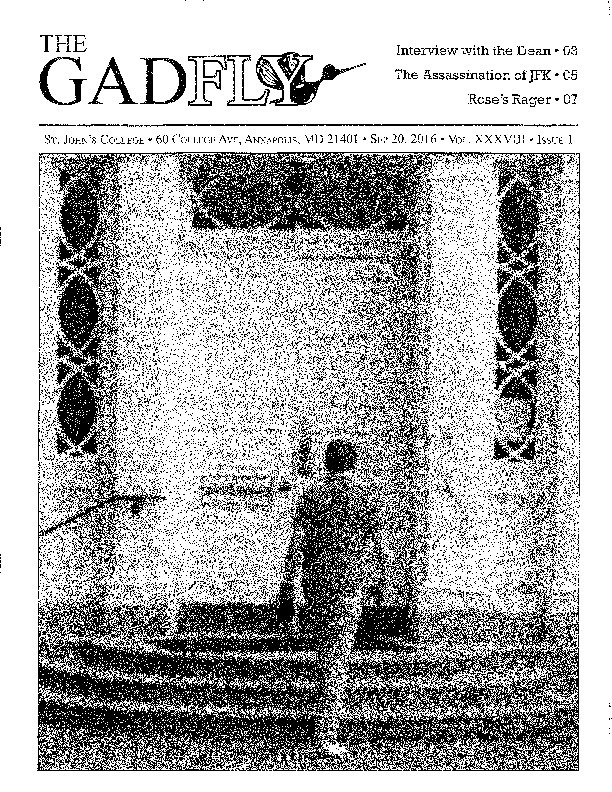 Volume XXXVIII, Issue 01 of The Gadfly. Published September 20, 2016. St. John's College owns the rights to this publication. Barajas, Sebastian (Editor-in-Chief), “The Gadfly, Vol. XXXVIII Issue 01,” St. John's College Digital Archives, accessed April 24, 2019, http://digitalarchives.sjc.edu/items/show/4128.